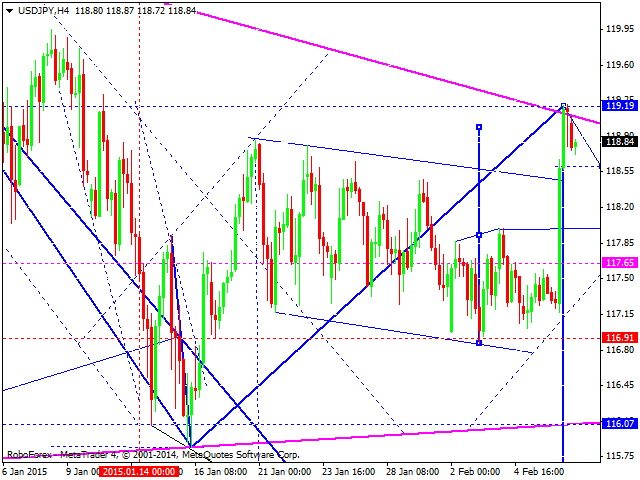 Eurodollar has formed triangle pattern, which may be considered as a consolidation range. If the pair breaks the minimum of this range, it may continue falling inside the downtrend. We think, today the price may test level of 1.1100 one more time, return to level of 1.1295, and then fall again towards level of 1.1000. An alternative scenario implies that the market may attempt to test level of 1.1650 from below again, and then continue falling inside the downtrend. Pound hasn’t reached the target of its third ascending wave yet. 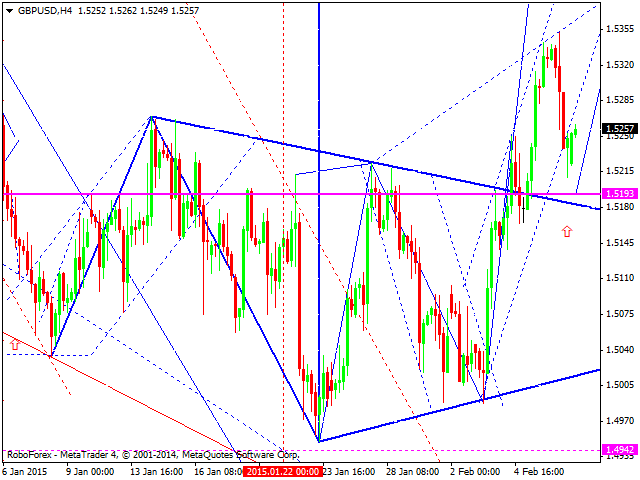 We think, today the price may test level of 1.5400 and then fall towards level of 1.5200. Later, in our opinion, the market may form another ascending structure to reach level of 1.5430 and then continue falling inside the downtrend. 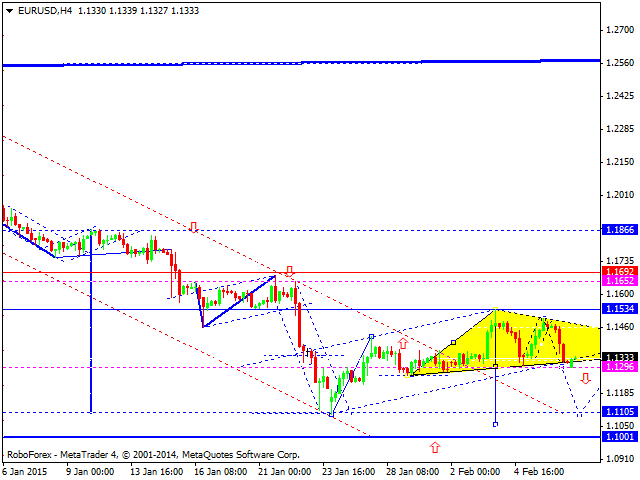 The main target is at level of 1.4850. Franc is moving inside a narrow consolidation range. The main scenario remains the same: the pair is expected to continue falling inside the downtrend. 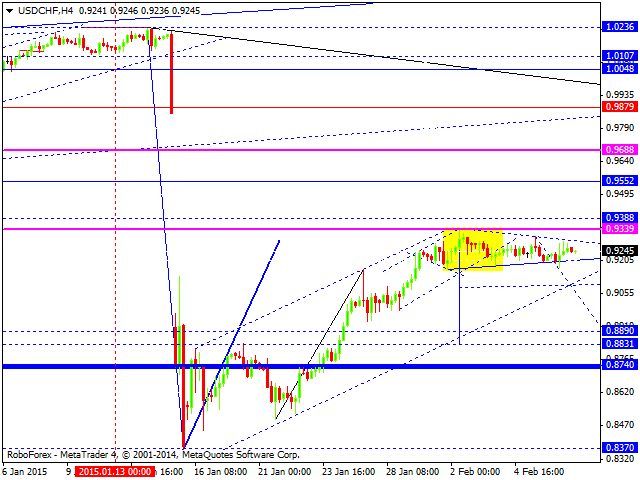 The first target is at level of 0.8830. Yen has tested the upper border of the global triangle pattern. We think, today the price may fall to break the pattern’s lower border and then extend this descending wave towards level of 115.00. Australian Dollar is under pressure; the pair is falling. We think, today the price may reach level of 0.7720, form a consolidation channel, and break it downwards. 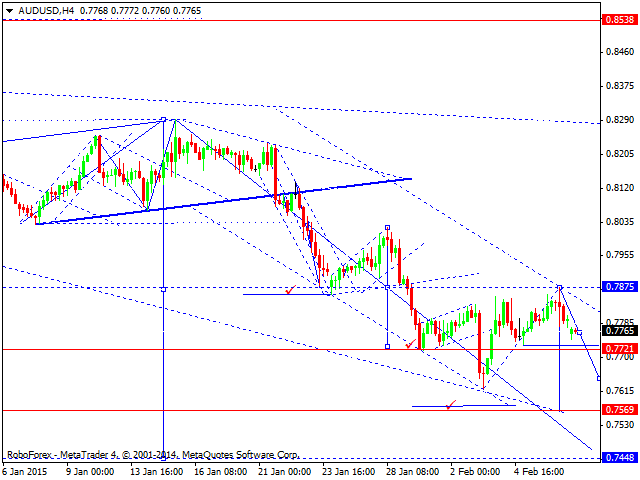 The main downside target is at level of 0.7570. Ruble has completed the first descending impulse and corrected it; the current consolidation channel looks like triangle pattern. 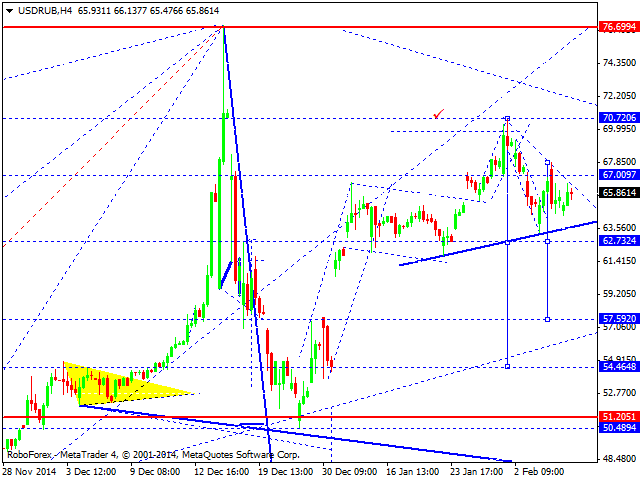 The main scenario implies that the market is expected to fall towards its local target at level of 57.00. 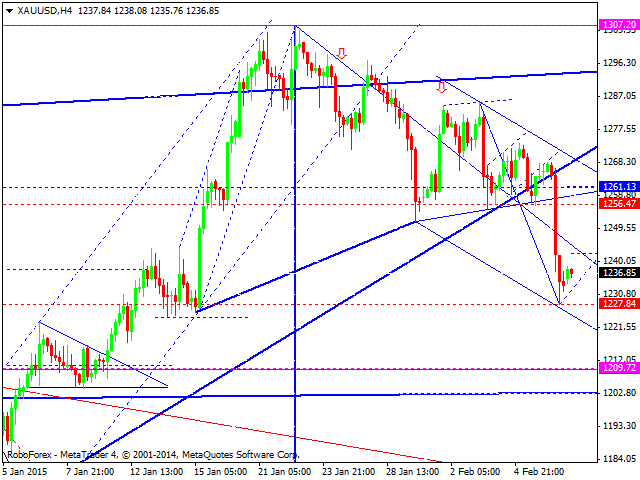 Gold is attempting to form a structure to return to level of 1255. After that, market may complete the first descending wave by falling reaching level of 1210. Later, in our opinion, the market may the market may return to level of 1250 and then start forming the third wave, which may break level of 1160.